Storytelling is experiencing a revival. Look through the local events pages of the newspaper, or the newsletters of art centres and it will not be long before you are invited to a storytelling event. It is worth going if you can. It is an extraordinarily skilful and difficult art form, like stand-up comedy (which grew out of it), and like all the arts, it puts us back in touch with something essentially human. The people of the Bible were not just good at stories. They lived stories. For us, life is often experienced as a series of snapshots or episodes; but ancient peoples understood themselves as living within, being part of, a story: the story of the tribe, and key individuals and families within it; but also the greater story of the people. It would be unthinkable for them to tell their stories without the presence of God, the author and audience who writes himself into his own script. The act of remembering (putting back together) through story was about connecting with the flow of something greater than individual affairs. The call of prophets was to re-enter that flow with wholehearted passion. In mid-October we crossed the threshold of a season that, even today, we associate with storytelling. The cold and darkness of winter, with its sense of struggle, ageing and death, drives us indoors and, ideally, into the company of others. It is a time for creating that warm, intimate space which is the storyteller’s domain. In a culture that has become detached from its story, we need more than ever to recover this ancient ability. The storyteller does not only recount bare historical facts. That would be dull. She provides a perspective: drawing us in, warning of lurking dangers, laughing at absurdities, and leaving us with searching questions, a wry smile or a realistic uncertainty. Biblical storytelling has an added dimension: revisiting past events with the benefit of hindsight and prayer, and uncovering new things as well as old (Matthew 13:52). These are the stories that make us who we are. Anyone who has experienced counselling, spiritual direction or a pastoral conversation will know the healing power of having someone pay attention to their story. The one who listens attentively creates a sacred space within which a reconnection happens with the greater flow of life, and the one from whom life comes. Finding the presence of God in the midst of our story, finding our story in the midst of God’s story, is to discover our true selves. In a matter of weeks we approach again a story at once familiar and yet always fresh, that, in the bleak midwinter of life’s journey, God remembered us and showed that we were never written out of his script. Isn’t it time for you to find your place within it, and to learn how to tell it too? Two years ago, the work on the Vision Process at St Nicolas’ identified making connections with the local community as a priority. 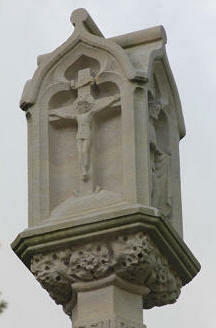 With this as a focus, the ‘Celebration of Christmas’ and more recently ‘Welcome on Wednesdays’ established the corner stones. Following months and months of preparation, planning, and prayer by people in the North Cheltenham Team Ministry, two visions have recently been realised, to reinforce and develop the building blocks at St Nicolas’, and to continue and strengthen its work of connecting with the North Cheltenham Wider Community. During October, I witnessed at St Nicolas’ a sense of excitement about the future of sharing the Good News about Jesus Christ, as the hard work generated the underpinning of the visions. Firstly, Daphne’s vision of linking with the wider community through the invitation to join the ‘Celebration of Pets’ on 23rd September. This was a ‘first’ for St Nicolas’ and pages 18 and 19 illustrate and articulate this special event. Secondly, Sue, Miriam and Ruth’s vision of supporting ‘Outreach’ through Messy Church is on-going. Please see page 11 for details. All the participants will take home memories, and find themselves remembering aspects of these events throughout the coming days, weeks and months. Our theme this month is ‘remembering’ and the importance of our five senses to recall events is paramount. Our five senses: smell, touch, hearing, sight, and taste are nature’s road to explore the world. Sometimes in horrific or painful ways, but most remarkably to give and receive pleasure. It is through the senses that memories are created. Impressions are received from our five senses, and have a significant role in the retention of information in our minds. The majority of impressions are acquired through two respective senses, sight and hearing. To tease out further how we, as individuals, remember, two stories illustrate how one man remembers a significant event in his life, and how two soldiers recall their individual memories in a war-time drama. How many of you remember Charter Party? He was the 1988 Gold Cup winner, who, upon retirement, opened the Prestbury Abbeyfield in 1990. For those of you who recall the above events, what you may not know, is that when the horse’s owner, Colin Smith, a director of Wimpey, first set eyes upon Charter Party in 1982 at Condicote, (near Temple Guiting) in the presence of Prestbury’s renowned jockey and trainer, David Nicholson, ‘the Duke’, he had two clear impressions of that first visit. I think it would be fair to surmise that Colin’s two impressions were gained through sight and hearing, but in both cases it was a case of looking without seeing.!!! In May 1941, the Germans launched a paratrooper assault on Crete, resulting in the British falling back from their defensive positions. Climbing the very high mountains, they walked mostly at night in a very slow tread with just the jingling of water bottles and occasional stumbling of people who had fallen over. One battalion medical officer recalls the most evocative thing as the dew on the flowers….the aromatic scents of Crete as unforgettable. Another officer remembers “a journey that showed human nature at its Christian best, but also at its ugly selfish worst”. This vignette shows us how differently two men remembered the same drama and illustrates how precise the sense of smell is. Our theme for the December/January edition is CHANGE. We love to hear from our readers. Your comments keep us on our toes and help make our magazine better. Your feedback is discussed at team planning meetings. It is as a result of reader feedback that Suzy is collating a series of articles about Celebrate! and we are delighted to have an excellent ‘first’ in this month’s magazine. Thank you, Louise. And pay to friendship some few friendly tears. As part of our new look and feel for the magazine, we are keen to involve all our congregations with children, young people, and adults of all ages, and to this end are planning a series of articles on the popular Celebrate! 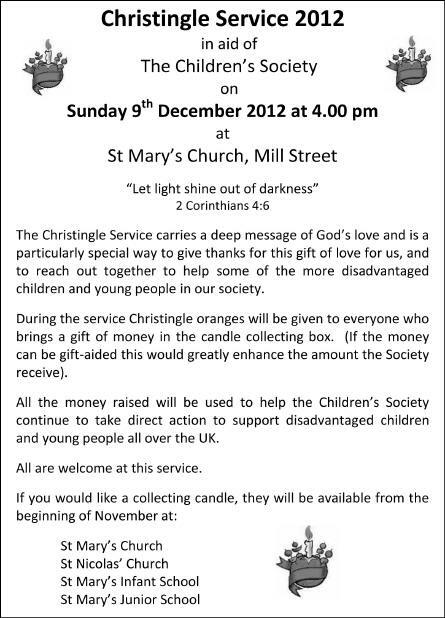 Service, held at 9.30am every Sunday at St Mary’s. For our first article, Louise Evans has kindly offered to write about the experiences of her family, both in joining the congregation and getting involved…..
“Peter and I settled in Prestbury in July last year. We both work at UCAS, so Prestbury was the perfect choice for easy access to work, but also our chance to be part of a community. This was our first house purchase together after living in rented properties. We fell in love with Prestbury straight away and knew our house in Linden Avenue would be a home for life for us and our two sons, Cian and Morgan. Next step, getting to know the community! 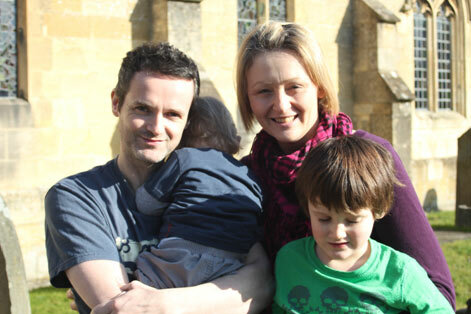 We had attended St Philip and St James in Leckhampton for a couple of years, and although we enjoyed the services, we didn't fully relax with the children in tow and struggled to get to know anyone. We seemed to rush off at the end to avoid a tantrum, or to ensure that Cian made his mid-morning sleep. We started coming to Celebrate! in March 2011 when our offer was accepted on the house. We knew from childhood experience that the church was a great way to make family friends, and we knew that we wanted this for our children... and of course to establish our faith as a family. We really enjoyed the services, and quickly got to know faces in the aisles. Celebrate! is a very warm, family-friendly service, and this suited us down to the ground. Like most children, our boys are not too keen on sitting still, but the songs, actions, instruments and activities keep them engaged for most of the service! Celebrate! isn’t just about children, it has enabled us, as Christian parents, to find a means to celebrate our faith that fits with our family. I really enjoyed the style of the services and quickly noticed that other parents and parishioners contributed; this was something I felt I could do and I approached Fr Daniel. At UCAS I am the Professional Development Manager with responsibility for all the training delivered to schools, colleges and universities supporting applicants through our admissions service. As a trainer, I’m used to public speaking and don't get (very) nervous. When I told Fr Daniel I wanted to help with the craft/prayer activities he looked pleased. When I told him that I was happy to stand up and lead sections of the service he was amazed! I’ve since learned that volunteers don't pop up often! After volunteering to help, I joined the Celebrate! Leaders’ Group (alongside Fiona Haddock, Kathryn Green, Jerry Porter, Andy Macauly, Stephen Murton, Mary Gardner, Mireille & Nathan Weller and Fr Daniel) and the Celebrate! Planning Group with Andy Macauly and Fr Daniel. The Leaders’ Group discusses our vision for Celebrate! including views and ideas from across the congregation. The Planning Group plans service themes, Bible passages and activities for the services, meeting around once every six weeks. I also share responsibility for leading prayer activity planning with Kathryn Green - this finds us cutting, sticking, and colouring most weeks, and preparation before each service. Peter has managed to get involved in St Mary’s too, but in a very different way. Not one for public speaking, he has joined the Bellringing Group, and enjoys, at the age of 41, being one of the youngsters! He also sits on the Parochial Church Council. We have really enjoyed getting to know the community of Prestbury through St Mary’s. Our faith has grown and our lives are enriched by our involvement in the church. Celebrate! isn't just a church service, to me it's a way of thinking, a way of life, a celebration of faith, families and it's fun... as both a leader and a parishioner”. Bob and I came to the Cotswolds in the spring of 1952 – to a little cottage next to the school at the Lower Swell owned by the Stow doctors for their assistant. His job for a year was paid for by the Government to help integrate service personnel into the 1948 NHS, as older GPs had to work 10 years in the service before qualifying for superemuneration and this obviously caused a bottle neck. In the spring of 1953 Dr Scott Stewart, a popular Prestbury doctor, died unexpectedly. Bob being nearby and due to vacate the Stow position was invited to help Dr Lidderdale, Prestbury’s senior partner. The month notice was halved by mutual agreement and Bob came over to do the surgeries while Mrs Scott Stewart grieved and eventually moved with her two boys. Tatchley House was a large house we could ill afford and we looked at several others for sale at the time. Eventually, with the help of Bob’s father we moved in with our two wee children in the very week of the Coronation. Some Naval friends came too with their offspring and we caused considerable speculation on the first Sunday morning. Bob and Joan had gone to the early service and John and I to the 11 o’clock where John’s excellent singing voice was noted. Consequently, the first voluntary job Bob was asked to consider was membership of the choir. However, many will remember he was decidedly tone deaf! Being “Honorary Troop Surgeon” to the local scouts was much more in his line and convenient as they were nearby and maintained possession of the loft above our garage as their meeting place! I remember an early gathering in the “Church Hall” (the skittle alley of the King’s Arms where the car park is now). On the stage were the three new comers to the village; The Revd Norman Kent, Mr Sydney Shaw from the Priory and Bob. Parish members from the floor posed questions via the chairman and in tone they were often amusing and quizzical, in judgement of the three! Bob did an early surgery at 70 Prestbury Road followed by one at Tatchley House with six drawers of notes beside him. All the floors were covered in linoleum and an oil stove in the waiting room was prone to smoke in those days, patients used the front door with its sliding knob, prescriptions, trustingly left on the hall table where the east wind would buffet them with each opening of the door, right past the one and only radiator in the house! One evening, Bob in his working clothes, busily painting over the endless brown on the stairs, responded to a ring of the door – “Can I see the doctor?” was the answer! Services in church in those days were very different, only the priest took communion at the 11 o’clock and as Bob used to go to one of the two early services and me to the 11, made easier when Nigel became a boat boy. Norman Kent quickly learnt that Bob had been brought up in the tradition of the Congregational Church. He prepared him for confirmation and the following vestry meeting asked him to be Church Warden a post he held through two interregnums. Fund raising was for ever on the agenda. First for the Church Hall in Bouncers Lane, then for the Infant School and thirdly the various stages of “Improvement for St Nicolas” – extending the “tin tabernade” turning the orientation and finally when the field had been donated, the new church. Alarmingly the new Church Hall might well have been burnt down at the first dance organised there. It was prior to Guy Fawkes Night and the winner of one of the prizes set light to it in the middle of the floor and Bob and a friend from our table moved towards it with their glasses of beer when it went off and peppered the ceiling and one or two ladies’ dresses. Not a happy moment to remember and sobering for the culprit. Garden parties at Tatchley House were a fairly regular feature and through nigh on 60 years there, I look back with strong bonds of Parish fellowship with very happy memories and many, many thanks. How well I remember my Dad telling me this story not long before he died. His father was a woollen mill owner in Bradford, and expected my Dad to follow and run the mill after he died. This wasn’t a happy thought, because he wanted to be a soldier. After much thought, as grandpa was strict, he signed on to be a soldier, and this was frowned on, but my Dad went ahead. This story I’m remembering must have been horrific: he eventually found himself on the Somme and in the trenches. One day he had to leave the trench for an investigation. He took with him his gun, and as he approached the top of the trench a German soldier was coming towards him on his belly, and also had a gun. Sadly my Dad had to shoot and kill him. Dad was in a bad state, and had to be taken to hospital, and eventually back to England where he was in a nerve hospital. We three children had always wondered why he got angry so quickly and shouted. But now we know, and thankfully forgave him. How brave our men were in that First World War. We have much for which to be thankful. Thank God for his story which I shall never forget. 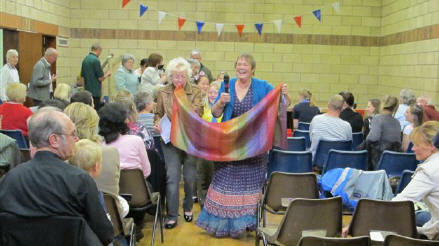 On Saturday 13th October the first meeting of the new Triennium was held at St Nicolas’ Church, here in Prestbury. Members of the Synod are elected to serve a term of three years and Father Michael Cozens, Mary Turner and I were present as representatives of the Cheltenham Deanery. After a welcome coffee break, supplied by our caterers, the discussions began. Bishop Michael very actively encourages genuine debate on matters we have to decide on and any comments from members are made clearly from the microphone at the front of the meeting. All are considered before a vote on a motion is taken. As in our parishes, the Diocese has had to produce an overall plan for moving forward in spreading the word and beliefs Christ gave us, an overall “Parish Plan” for Gloucestershire, if you like. The Bishop’s Council had spent a lot of time in the last year, collecting ideas and facts and putting a draft together for us to consider. The plan we voted to accept is basically this. 1. Worshiping together Through Scripture, Prayer and Sacrament in uplifting services of all kinds and celebrating pastoral offices with sensitivity and confidence. 2. Sharing our Christian Faith and Values through culturally appropriate evangelism across ALL ages, supporting each other spiritually and materially and engaging with families and schools, developing our Church Schools as partners in our mission. 3. Providing a visible presence in every community and parish by showing God's Love through identifiable people and buildings; offering welcome, hospitality and pastoral care to ALL through growing our congregations and planting new ones by ensuring our buildings are well ordered and in good repair, fit for the widest possible use. 4. Serve the wider world around us through using our physical, spiritual and human resources to tackle poverty and injustice in our own Dioceses and beyond, using our local physical, spiritual and human resources. Naturally, there was a great deal of discussion on how to make this happen and Bishop Michael agreed that we should review progress on an annual basis. In 2016, there will be an overall reassessment. The other matter discussed was, unsurprisingly, the dire state of the Diocesan Finances. The overall deficit is still rising, all be it more slowly. The Board of Finance has done exactly as requested and has worked on various ways of reducing central administration costs. There have been four voluntary redundancies and more are to follow. They have studied other diocese strategies and are working to concentrate offices so staff are working in closer units. Those bills are now dropping. However, there is one fundamental problem and that is that as parishes face rising running costs, such as gas, electricity, insurance premiums, maintenance bills, extra income gathered has been used to pay these as unavoidable, but they have failed to appreciate that Diocesan Parish Ministry expenses have risen at the same rate and they, by law, must also be met somehow. Stipends, National Insurance contributions and pension contributions, are controlled by governmental legislation. The Diocesan Board of Finance (DBF) received £5.6 million in Parish Share last year but was obliged to pay out £7.1 million on Parish Ministry. The gap has been filled by drawing on investments but those are clearly limited and the gap is still growing. At present, they are utterly determined to maintain the same level of ordained ministry and clergy training but ultimately, if this sliding debt is not removed, there will be no replacements when priests leave the diocese or retire. In our own parish we manage to maintain Eucharistic services between St Mary’s and St Nicolas’, every day of the week, already many Parishes are just grateful for one a week and that at varying times. If this problem rumbles on we will ultimately suffer as well. In 2013, the DBF has budgeted for a £317,000 cut in support services. If things don't improve a further £500,000 of cuts will be sought by 2015 and at least £300,000 will have to come from parish ministry. Those cuts will be made in Deaneries which are not reaching their targets. Only three are at present, Gloucester, Cirencester and Tewkesbury with Winchcombe. There are many people in Prestbury who are giving very generously but there are also many people in our congregations who are not giving at all. If you value the support, friendship and comfort of belonging in our church, please, when you read this think jolly hard, and listen to the appeal our own Finance Committee is going to make. If you are still with me at the end of this report, thank you for reading on and spare a kindly thought for those who strive to keep our Diocese running because there is a lot we do well and can feel proud about, as Bishop Michael told us in his address. I have just reported here on the most important items on the agenda. “If you come across your enemy's ox or donkey wandering off, be sure to take it back to him” (Exodus 23.4). For many centuries animals were largely considered as livestock or pests, rather than companions However in more recent centuries, the role of the ‘pet’ has increased in importance. 49% of us now own a pet, and they are important members of our families. They teach us and our children about caring, companionship and ultimately, loss. People love their pets, regardless of whether they are church goers or not. As way of improving the connection with the wider community surrounding St Nicolas, and inspired by a (much bigger) service that she witnessed at the Cathedral Church of St John the Divine in New York, Daphne Philpot arranged a Celebration of Pets service to be held at the church on the 23rd September. What followed suit was exactly the connection with the public that Daphne and others in the St Nicolas team had hoped for, and which they are striving so hard to increase as part of their vision for the church. Members of the community, young and old, familiar and unfamiliar, met in the church hall, accompanied by their pets, to celebrate their role in our lives in a service led by Fr Michael Cozens. Also in attendance were Reuben Croft from the Animal Shelter and Jo Begg from Riding for the Disabled, the latter two guests nicely encapsulating the role of animals regarding what we offer them, and they to us. The service was extremely full and varied, including a re-enactment of Noah and his family building and populating the Ark; a beautiful dance from Swan Lake, performed by Gabriela from the Helen Gill School of Dance; a song from the Brownies; and a Pets’ Parade around the hall. One activity involved people writing the names of favourite pets, past and present, on stickers and attaching them to flags along the wall. This was a touching, and commemorative act for those who stood and reflected on the contribution these animals had made to their lives. Fr. John Mead interviewed a few of the pet owners and learned their stories. One of his interviewees was Jerry Porter, who brought along Matt his dog, wearing a little ‘Pet Therapy’ coat. Matt regularly attends the Junior school (yes really!) for reluctant readers to practise their skills. The dog listens attentively, without criticising, and the children’s reading improves. Nick Roach also brought a sheepdog in. Unfortunately the training isn’t going too well because the dog disperses sheep rather than rounds them up! A lovely story and good luck with those skills! 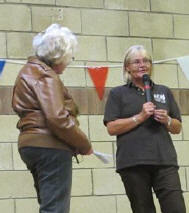 The congregation also listened as Jenny Mead interviewed Jo Begg about the work carried out by the charity Riding for the Disabled. RDA provide therapy, enjoyment and achievement to almost 30 000 people with disabilities every year. Beethoven the pony was sadly a little too large to attend, but is one of the many horses and ponies who work with the volunteers. 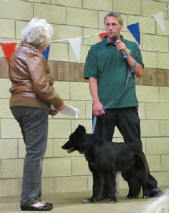 During the service Reuben Croft spoke about the work that goes on at the Animal Shelter. One of the pets introduced was a very well behaved black and white cat called Riff Raff, who was rescued and rehomed via the Shelter. Whilst talking, Reuben revealed that the facility has an on-going requirement for unwanted blankets, small rugs and towels to keep the animals comfortable during the cold winter months. There will be a collection box at St Nicolas’ for anyone wishing to re-organise their airing cupboard, and the Shelter will be very grateful indeed. Alternatively, please contact Daphne Philpot. During the service there were no fights, and no gerbils were snacked upon by pet cats. In fact, one ginger cat sat on its owner’s lap throughout, next to some hamsters, who were not in the least perturbed! The whole celebration was well organised and very enjoyable, fun for the whole community and very successful in its message of inclusion to the wider community - thanks to all who helped and contributed. 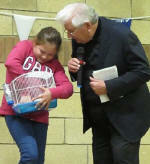 Fr Michael said it was the first service focused on the subject of pets that he had ever led in over 20 years of Ministry – but we hope it won’t be the last! Last year the Cheltenham Committee pledged to raise £5000 for Zimbabwe to which the EU added X9 making a total of £50,000. This year the target is still £5000 but the EU will give X3 so that every £1 becomes £4 and the grand total £20,000. This is for aid to the Lebanon and occupied Palestinian territories to help those struggling to overcome disabilities and help them become fully involved members of society. This time last year you were reading about my visit to Malawi and the projects supported by the charity. Since then I have continued to work raising funds for medical items needed by the main and local hospitals and in particular obtaining equipment for the newly set up eye service at St Luke Hospital, Malosa. I have recently obtained from an optician his old Slit Lamp Microscope and Non-Contact Tonometer (puff of air machine for glaucoma testing) so they will be sent this month with a further box of glasses. You were very generous in the spring last year enabling me to purchase the testing kit and donating used glasses for the hospital to issue. I feel that it is important that we maintain this supply as the service is dependent on having spectacles to issue so please keep them coming. The charity runs a gift scheme all the year but it is particularly relevant at this time before Christmas. I will be at the Real Christmas with cards and order forms but you can preview the gifts on www.malawimacs.org. I am keen to help the local health centre at Nkope where many of the iron bedsteads do not have mattresses and as the £50 is a large sum for one person am asking for donations in the hope that we can manage to supply more than one. I hope to see you at the Real Christmas, on Saturday 8th December, many thanks. 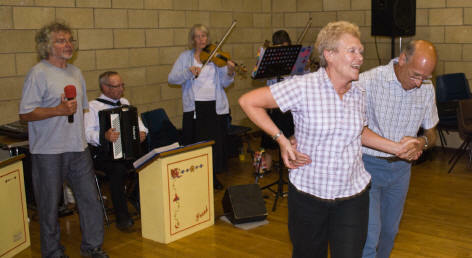 Colin & I would just like to say how much we enjoyed the Barn Dance on Saturday evening. It was a real fun evening and lovely to see familiar faces from ‘Times past’. We haven’t laughed so much for ages and it was great to see everyone else having such a good time. We very much look forward to the next one! Well done and ‘Thank you’ to all those involved. Twelve years as a relief housekeeper at Abbeyfield retirement home ended on a high note for Betty Nation with a presentation at a residents’ musical tea. 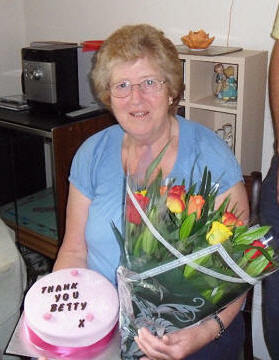 She was given roses, a specially-iced cake and a £100 shopping voucher. During the interval, guitarist Alex Carson gave a sing-a-long performance. Betty, 70, was praised for her dedicated service by the chairman of Prestbury Road home’s executive committee, Noel Brick, as he presented the leaving gifts on 31 August. It was acknowledged by Helen Davis (Housekeeper) that Betty, who also worked at Abbeyfield Tewkesbury, was very popular with the residents. Helen said “She’s a lovely person who has helped us such a lot over the years with our charity events, as well as being great at her job.” Helen organised a cash collection from residents, volunteers and the committee for Betty’s retirement presents. 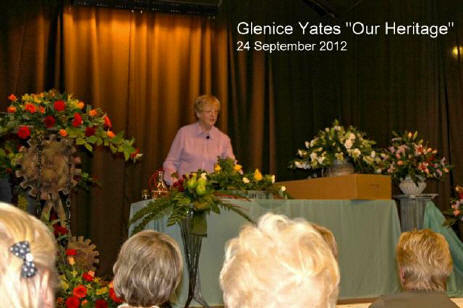 What a delightful evening we enjoyed in September, with Glenice Yates demonstrating “Our Heritage”. Glenice has been to our club several time,s but she was even more entertaining than usual, keeping us all amused with her tales and giving us really lovely arrangements which several members were lucky enough to win in the raffle. 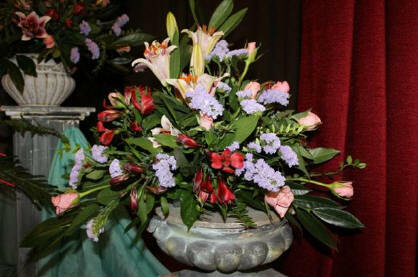 We also had our third competition of the year, an arrangement in an unusual container and there were some excellent entries. On 26th November will be our Christmas demonstration to which all members and friends are cordially invited. Barbara Priest will be sharing a “Winter’s Tale” with us. Barbara gave us a fabulous demonstration on her last visit so we should be in for a treat. Our meetings are held in Prestbury Hall, Bouncers Lane and commence at 7.30pm with the hall open from 7pm. Visitors are welcome at £6 and there will be festive nibbles. We also have our final competition of 2012, an arrangement with a figurine, which all are welcome to enter. Our Christian journey is fraught with dangers, delays and detours… sometimes we think we are being led down paths which become dead ends, at other times we are reluctant to continue a path, unsure of where it will lead us, and discover, on arrival that it was the very best place to be! Whilst out walking one day with my husband, we were trying to walk around a small island. We started along properly paved paths with properly built bridges. As we got further away from the houses, the paths became more and more overgrown, the ‘bridges’ became random logs thrown across the ditches. But the challenge was still there, to complete what we had set out to do, regardless of the setbacks and the lack of guidance. The paths divided and subdivided and choosing the right one became harder and harder, many times we came to ‘dead ends’ and had to turn back to the original path. Each ditch or stream became more challenging to cross, the logs unable to hold our weight and broke resulting in falls into brackish water! All the while, we were being attacked by swarms of hungry mosquitoes! But we did eventually succeed in arriving safely. The experience made me aware that our lives are so very similar to this, as children we are guided by parents and teachers to follow the safe ‘paths’; as we grow we become more headstrong, believing that we are invincible. We face many challenges, make many mistakes and above all are foolish enough to believe that we can face life’s trials on our own, relying on our so-called wisdom and stubbornness to fight our battles. But through it all God is there, patiently waiting for our final realisation, when we admit that without Him we are lost and helpless. It is our very vulnerability on these occasions which allows God to come closer, to be a true friend in every sense of the word. The Bible study group I attend recently looked at a book called “Prayer begins with Relationship” by Cynthia Hyle Bezek. In the first ‘exercise’ we were asked to consider what our relationship with God was, whether we thought of Him as Master or Friend, and what our friendship with God should be like. Very difficult questions, especially when we are reminded that a friendship is a two way thing, and we ask ourselves what we are doing for God? How can we be a friend to God? There are differing opinions on this, from those who believe that God is Master and must be venerated from a distance, to those who think that Jesus is more approachable and easier to talk to. But, however you believe God to be, how can we be ‘God’s friend’ in return for all he does for us. What have we got to offer Him apart from the type of lives we live, trying to have patience and not being impetuous, but above all trusting in Him to ‘make our ways straight’. will be held on Thursday 1st November from 10am - 3pm, at Salem Baptist Church, 129 St George's Road. Please bring your own lunch - tea and coffee provided. The season of remembrance begins with All Saintstide when the Church gives thanks for all those who have gone before us. The letter to the Hebrews refers to the ‘great cloud of witnesses’ and at this time we commemorate all those whom the Church has named as a saint. We also gather into our commemoration our own departed loved ones, members of our church congregations who have now died, as well as those who have died during the past year. Due to the way the calendar falls this year we will commemorate All Souls before we celebrate All Saints, rather than the other way round! John Heathcott will be giving a talk – ‘Ancient Woodlands’ at St Nicolas’ Church on Saturday 10th November, at 7:30pm. Donations to ‘The Woodland Trust’. This group exists to support people with eczema and their carers. We plan to hold a meeting on Tuesday 13th November with Dr Takwale, Consultant Dermatologist, and Pat Baker, Paediatric Specialist Dermatology Nurse, who will talk to us and then answer questions on any aspect of eczema. This will be at 7.30pm at the Prestbury Centre, 236 Prestbury Road. There will be plenty of information available with updated leaflets etc. and we also offer refreshments. If you are affected by eczema, please come, and tell your friends about this opportunity. Our next meeting is on Tuesday 20th November at 7.30pm at St Nicolas’ Church. 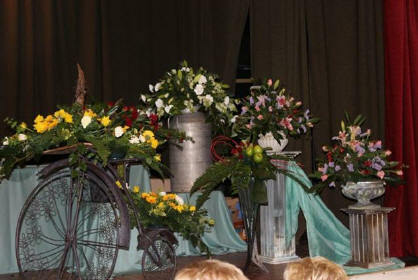 Our guest will be Molly Campbell who is coming to share ideas with us for flowers for the Christmas table. Come and relax with us and enjoy. On Saturday 24th November from 9.30 - 2pm Bishop Michael will lead a Celebration of Local Ministry in Gloucester Cathedral. The Local Ministry Team along with others in the parish who would like to share with Bishop Michael our commitment to the mission and development of our parish and the building up of the people of God, are invited. Refreshments and lunch will be provided - please let Sylvia McKenzie know by the 10th November for catering purposes. The next Afternoon Tea at St Nicolas’ is on 28th November at 2.30pm. Do come along and try to bring a friend or neighbour. Sunday 2nd December is Advent Sunday and at St Nicolas at 9.30am we will welcome the Archdeacon of Cheltenham. Archdeacon Robert Springett will preside and preach at the Advent Sunday Sung Eucharist. LENT begins on 13th February 2013. Please send your LENT contributions and notices by 11th November for inclusion in the December/January edition of the magazine. Any Lent items arriving after this date will be held over for the February edition Magazine, which will be in circulation from 27th January. Why not join us for this half-hour service? It is a time for reflection and prayer away from the everyday bustle of life. Joan Rushworth and I serve coffee/tea and biscuits following the service, which has become very popular. You are sure of a warm welcome. I hope you have enjoyed reading the coast-to-coast articles in the last three magazines. All the sponsorship money for the walk has finally been collected in and, with the addition of Gift Aid, the final total comes to a magnificent £3,027, which has been split between the Friends of St Mary’s, and Prestbury and Pittville Youth. Thank you again to all those across the North Cheltenham Team churches, as well as other local people including Andrews Estate Agents, Waghornes Butchers, and the village Post Office, who so generously contributed sponsorship money. September 23rd was my birthday, not a big one but big enough!, and this year I wanted to do something that would make it especially memorable ..... so I chose to run the New Forest marathon and, yes, I ran all 26.2 soaking, freezing, incredibly painful miles of it. Also, as you may know, my father (John Boxwell) has been living with prostate cancer for over twenty years and has received much care and attention during that time and especially so just now. So I thought it would be good to give something back by using my marathon run to fundraise for the Prostate Cancer UK charity. Due to time spent caring I was not really in a position to actively seek sponsorship other than by posters, none-the-less so many people have been forthcoming and I am pleased to say that, including gift aid, the total raised now stands at £582.50. I'd like to extend a BIG THANKYOU to all who were able to support me in this way and practically on the day. So, a good effort all round for a very worthy cause and definitely a birthday to remember!